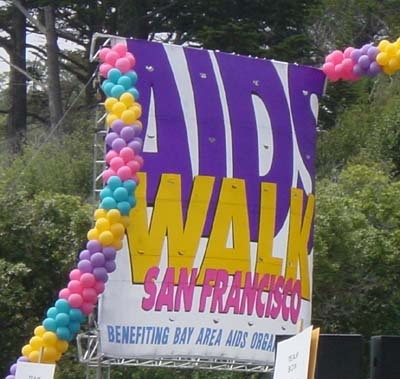 AIDS Walks SF 2005 – Let’s Do It Again! Together we raised over $1100 for AIDS Walk San Francisco last year. That was quite amazing since my initial fundraising goal was $200. I am walking again this year and would definitely appreciate your support. I walk for my friends who have died from this disease and I walk for my friends living with HIV/AIDS. I am walking on the SBC Team this year and my fundraising goal is $500. If you are interested, please make a tax-deductible contribution by clicking on the AIDS Walk photo above. If you have any questions, please leave me a comment or send me an email. Thank you very much for your support. This entry was posted on Wednesday, June 29th, 2005 at 5:32 am. It is filed under Special Feature. You can follow any responses to this entry through the RSS 2.0 feed.